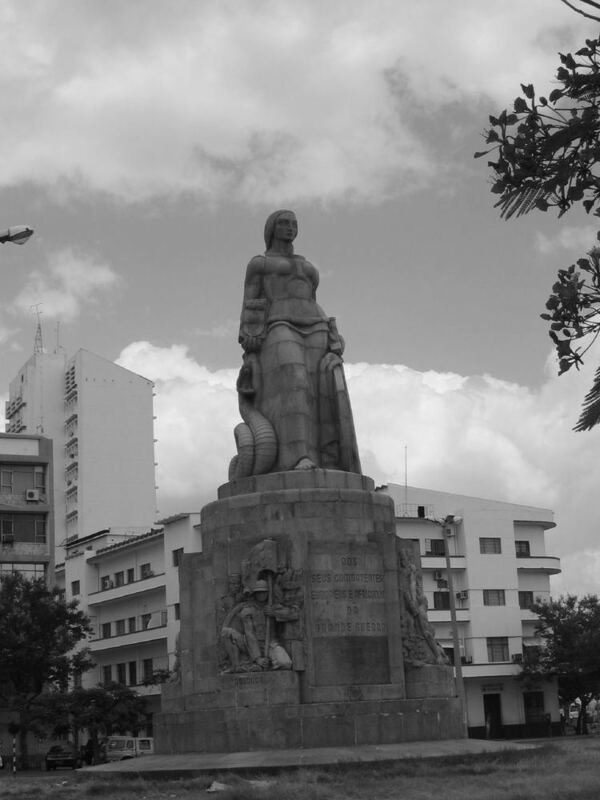 Maputo ([mɐˈputu]), known as Lourenço Marques before independence, is the capital and largest city of Mozambique. It is known as the City of Acacias, in reference to acacia trees commonly found along its avenues, and the Pearl of the Indian Ocean. Today, it is a port city, with its economy centered on the harbour. According to the 2007 census, the population is 1,766,184. Cotton, sugar, chromite, sisal, copra, and hardwood are the chief exports. The city manufactures cement, pottery, furniture, shoes, and rubber. The city is surrounded by Maputo Province, but is administered as its own province. On the 9th of December 1876, Lourenço Marques was elevated to the category of village, and on the 10th of November 1887 it became a city. The Luso-British conflict for the possession of Lourenço Marques ended on the 24th of July 1875 with the French President Patrice Mac-Mahon ruling in favor of Portugal. In 1871, the town was described as a poor place, with narrow streets, fairly good flat-roofed houses, grass huts, decayed forts, and a rusty cannon, enclosed by a recently erected wall 1.8 metres (6 ft) high and protected by bastions at intervals. The growing importance of the Transvaal led, however, to greater interest being taken back in Portugal in the development of a port. A commission was sent by the Portuguese government in 1876 to drain the marshy land near the settlement, to plant the blue gum tree, and to build a hospital and a church. 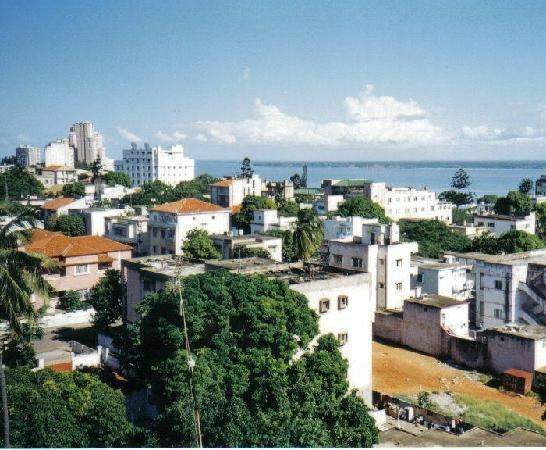 A city since 1887, it superseded the Island of Mozambique as the capital of Mozambique in 1898. In 1895, construction of a railroad to Pretoria, South Africa, caused the city's population to grow. The Witwatersrand Gold Rush, which began in 1886, further increased the economic development of the city in the late 19th and early 20th centuries as Lourenço Marques served as the closest seaport for the export of gold from South Africa. With the continuous growth of the city's population and its expanding economy centered on the seaport, from the 1940s, Portugal's administration built a network of primary and secondary schools, industrial and commercial schools as well as the first university in the region — the University of Lourenço Marques, opened in 1962. Portuguese, Islamic (including Ismailis), Indian (including from Portuguese India) and Chinese (including Macanese) communities — but not the unskilled African majority — achieved great prosperity by developing the industrial and commercial sectors of the city. Urban areas of Mozambique grew quickly in this period due to the lack of restriction on the internal migration of indigenous Mozambicans, a situation that differed to the apartheid policies of neighboring South Africa. Before Mozambique's independence in 1975, thousands of tourists from South Africa and Rhodesia (now Zimbabwe) frequented the city and its scenic beaches, high-quality hotels, restaurants, casinos, and brothels. The Mozambique Liberation Front, or FRELIMO, formed in Tanzania in 1962 and led by Eduardo Mondlane, fought for independence from Portuguese rule. The Mozambican War of Independence lasted over 10 years, ending only in 1974 when the Estado Novo regime was overthrown in Lisbon by a leftist military coup — the Carnation Revolution. The new government of Portugal granted independence to almost all Portuguese overseas territories (except for Timor Leste and Macau). The words "Aqui é Portugal" (Here is Portugal) were once inscribed on the walkway of its municipal building. The People's Republic of Mozambique was proclaimed on 25 June 1975 in accordance with the Lusaka Accord signed in September 1974. A parade and a state banquet completed the independence festivities in the capital, which was expected to be renamed Can Phumo, or "Place of Phumo," after a Shangaan chief who lived in the area before the Portuguese navigator Lourenço Marques first visited the site in 1545 and gave his name to it. However, after independence, the city's name was changed (in February 1976) to Maputo. Maputo's name reputedly has its origin in the Maputo River: in fact, this river, which marks the border with South Africa in the far South of Mozambique, had become symbolic during the FRELIMO-led armed struggle against Portuguese sovereignty, after the motto «Viva Moçambique unido, do Rovuma ao Maputo», that is, Hail Mozambique, united from Rovuma down to Maputo (Rovuma is the river which marks the border with Tanzania in the far North). After the independence, the statues to Portuguese heroes in the capital city were removed and most were stored at the fortress. Black soldiers carrying Russian rifles replaced Portuguese Army soldiers (both black and white) with western arms in city barracks and on the streets. Most of the city's streets, originally named for Portuguese heroes or important dates in Portuguese history, had their names changed to African languages, revolutionary figures, or pre-colonial historical names. After the Carnation Revolution in Lisbon, over 250,000 ethnic Portuguese pulled out virtually overnight, leaving Mozambique's economy and administration unmanageable. With the exodus of trained Portuguese personnel, the newly independent country had no time to allocate resources to maintain its well-developed infrastructure. In addition, authoritarian Stalinist policies and bureaucratic central planning made the newly independent country slip into an extremely precarious condition since the beginning, and so the economy plummeted. FRELIMO, now the governing party, turned to the communist governments of the Soviet Union and East Germany for help. By the early 1980s the country was bankrupt. Money was worthless and shops were empty. Starting shortly after independence, the country was plagued by the Mozambican Civil War, a long and violent struggle between FRELIMO and RENAMO, which lasted from 1977 to 1992. The war adversely affected economic activity and political stability in the city. "Operation Production" (Operação Produção) was inaugurated in 1983 by the ruling FRELIMO party to deal with the economic crisis. Undocumented residents of Maputo, the "parasitic" urban population, as well as individuals who displayed criminal behavior, were forcibly transferred to state-owned communal farms and villages in the rural north of Mozambique. Since the peace agreement ending the civil war, which was signed in 1992, the country and the city has returned to its pre-independence levels of political stability. This stability is an encouraging sign that makes Mozambique a promising country for foreign investment. Maputo is located on the west side of Maputo Bay, near the Estuário do Espírito Santo where the rivers Tembe, Umbeluzi, Matola and Infulene drain. The bay is 95 kilometres (59 miles) long and 30 kilometres (19 miles) wide. At the extreme east of the city and bay is the island of Inhaca. The total area covered by the municipality of Maputo is 346 square kilometres (134 sq mi) and borders the city of Matola northeast and east, the districts of Marracuene to the north; Boane in the east and Matutuíne at the south all of which are part of Maputo Province. The city is 120 km (75 miles) from the South African border at Ressano Garcia and 80 km (50 miles) from the border with Swaziland near the town of Namaacha. Maputo features a tropical savanna climate (Aw) according to Köppen climate classification. Maputo is a relatively dry city, averaging 813.6 millimetres (32.0 inches) of precipitation per year. Precipitation is abundant during summer and only little during winter. The city has a relative cool climate averaging only 22.8 °C (73.0 °F). The hottest month is January with mean temperature 26.8 °C (80.2 °F), while the coolest month is July with mean temperature 18.8 °C (65.8 °F). Maputo faces many challenges, such as poor transport and drainage infrastructure, which have profound implications on people’s livelihoods, particularly in informal settlements. Inadequate planning regulation and law enforcement, as well as perceived corruption in government processes, lack of communication across government departments and lack of concern or government coordination with respect to building codes are major impediments to progressing the development of Maputo’s infrastructure, according to the Climate & Development Knowledge Network. As a coastal city, Maputo is particularly vulnerable to the impacts of sea level rise, and population growth is putting increasing pressure on the coastal areas. Despite its Portuguese heritage, all vehicles are right-hand drive and drive on the left hand side of the road. In 2011, PROMAPUTO2, the second phase of the project began. This phase is to last until 2015 and a total of USD 105 million will be invested. A special Integrated Financial Management Information System (IFMIS) will be developed and implemented together with Geographic Information System (GIS). These systems will help the municipality control its budgets and manage tenders, while the GIS will allow for precise information about land location and titling to be kept. Several roads will be expanded and improved and the Avenida Julius Nyerere will finally be completed. Financial sustainability for the project will be guaranteed through the improved collection of property tax (IPRA). The project also coincides with the recent overhaul of the Road Safety and Traffic Regulations (final completion 2020) which was an antiquated system that had not seen changes since the 1950s. Amongst the new regulations, heavy penalties and fines now apply to many detrimental actions done by automobiles, such as pollution, loud noises, and illegal maneuvers. In spite of its previous instability, Mozambique is experiencing one of the fastest growth rates for a developing country in the world. The projected growth rate for 2011 is expected to be around 7.5%, some of it centered on the construction of several capital intensive projects in Maputo. Some of the more notable developments include Edificio 24, a mixed-use development that will be located at the center of the city along Avenida 24 Julho and Avenida Salvador Allende. 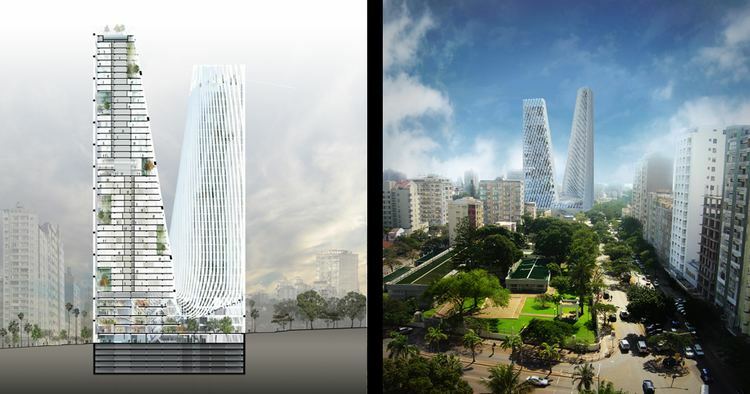 The Maputo Business Tower is a 47 story building that, at its expected completion in 2013 or 2014, will be considered the tallest building in the country at 190 metres (620 feet). The Radisson Blu Hotel has begun construction of a 12 story building with 154 rooms in one of the city's trendiest spots on the marginal along the beach. The hotel is due to open in the first quarter of 2013. A 15 story building for the second largest telecommunication company in the country, Vodacom, was projected to be completed in 2010. The regeneration of the Maputo waterfront is an urban regeneration project that is being developed at site of the former annual industrial fair grounds (FACIM). In February 2011, the president Armando Guebuza announced that the Vila Algarve would be restored to its former condition and the building transformed into a museum for the veterans of the civil war. The Vila Algarve belonged to the International and State Defence Police (PIDE) during colonial rule. It was where political prisoners and others accused of conspiring to harm the regime were taken for interrogation and torture. There are claims that several individuals were executed in the building. No dates have been released on when the renovation is to commence. The building has changed ownership several times and has been an off-on residence for squatters. Maputo has a number of stadiums designed for football, which can be modified for other purposes, such as the new Estádio do Zimpeto, Estádio do Maxaquene and the Estádio do Costa do Sol which can seat 32,000, 15,000 and 10,000 people respectively. The largest stadium in the Metropolitan Area is, however, the Estádio da Machava (opened as Estádio Salazar), located in neighbouring Matola municipality. It opened in 1968, in Machava and was at the time the most advanced in the country conforming to standards set by FIFA and the Union Cycliste Internationale (UCI). The cycling track could be adjusted to allow for 20,000 more seats. It was the site where Portugal officially handed over the country to Samora Machel and FRELIMO on 25 June 1975. In 2005, the Birmingham based reggae group UB40 held a one-night-only concert in the stadium filled to maximum capacity. A newer stadium called the Estádio do Zimpeto which is located in the suburb of Zimpeto will be opened in 2011. The stadium will be built in time for the 2011 All-Africa Games with a capacity for 42,000 spectators. Beginning in the 1950s, motorsport was introduced to the city. At first race cars would compete in areas around the city, Polana and along the marginal but as funding and interest increased, a dedicated race track was built in the Costa Do Sol area along and behind the marginal with the ocean to the east with a length of 1.5 km (0.9 mi). The initial surface of the new track, named Autódromo de Lourenço Marques did not provide enough grip and an accident in the late 1960s killed 8 people and injured many more. Therefore, in 1970, the track was renovated and the surface changed to meet the safety requirements that were needed at large events with many spectators. The length then increased to 3,909 km (2,429 mi). The city became host to several international and local events beginning with the inauguration on 26 November 1970. The track was abandoned after 1975 and events only occurred sporadically such as in 1981 when the government allowed the sport again. Since 2000, interest has been rekindled by the Automovel & Touring Club de Moçambique (ATCM) and several events including go-carting, drag racing and motocross are planned. The street names were changed after independence in 1975. Close ties with the Soviet bloc highly influenced the new names that were chosen as did removal of names referring to colonial era figures. Ferry boats departing from Maputo to the district of KaTembe are available during the week. A ferry can carry approximately 20 vehicles per trip. Maputo was home to one of the first electric tramway systems in Africa, commencing in February 1904. At first the lines ran from the Central Railway Station (CFM) to the City Municipality building. It is said that the establishment of the tram system caused some protests from the general public as certain classes had limited access to its use. Trams lost favor in the second half of the 20th century as cars and buses became more common, and they have not been in use at all since 1936, although parts of some of the tracks can still be seen coming up through the tar in certain streets, like Av. 24 de Julho. A recent introduction and an alternative are three-wheelers commonly known as tuk-tuks in some Asian countries. The three-wheeled bikes, called "tchopelas" by the population, are cheaper to own and run and have posed a serious threat to the conventional taxi cars. 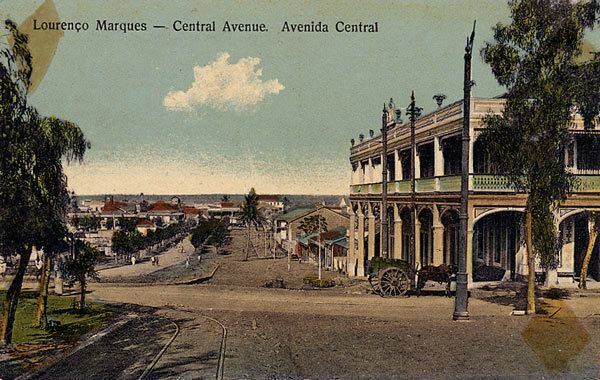 Maputo had always been the center of attention during its formative years and this strong artistic spirit was responsible for attracting some of the world's most forward architects at the turn of the 20th century. The city is home to masterpieces of building work by Pancho Guedes, Herbert Baker and Thomas Honney amongst others. The earliest architectural efforts around the city focused on classical European designs such as the Central Train Station (CFM) designed by architects Alfredo Augusto Lisboa de Lima, Mario Veiga and Ferreira da Costa and built between 1913 and 1916 (sometimes mistaken with the work of Gustav Eiffel), and the Hotel Polana designed by Herbert Baker. As the 1960s and 1970s approached, Maputo was yet again at the center of a new wave of architectural influences made most popular by Pancho Guedes. The designs of the 1960s and 1970s were characterized by modernist movements of clean, straight and functional structures. However, prominent architects such as Pancho Guedes fused this with local art schemes giving the city's buildings a unique Mozambican theme. As a result, most of the properties erected during the second construction boom take on these styling cues. Before television was introduced in 1981, film and cinema had a prominent position as a form of entertainment in the lives of Mozambicans especially in Maputo where there were no less than a dozen movie theaters by the time of independence. In the 1950s and 1960s, at the height of racial segregation, most of the movie-goers were either European whites or South Asians – each group having their own designated locale. Black Mozambicans, although more heavily discriminated against, also enjoyed movies in makeshift theatres (rooms that were temporarily converted to handle a projector, screen and chairs). Some of the cinemas can still be seen today, such as the Charlot, Gil Vicente, the Scala, 222 and the Dicca, although not all are functioning for their intended purpose. An important cultural and artists' centre in Maputo is the Associação Núcleo de Arte. It is the oldest collective of artists in Mozambique. Seated in an old villa in the centre of Maputo the Núcleo has played a significant role in metropolitan cultural life for decades. The two best known and most influential contemporary Mozambican artists started their career at Núcleo de Arte, the painter Malangatana Ngwenya and the sculptor Alberto Chissano. Over one hundred painters, sculptors and ceramists are members of the Núcleo, which regularly stages exhibitions on its own premises and over the last few years has actively participated in exchanges with artists from abroad. The Núcleo became well known for their project transforming arms into tools and objects of art. It played an important role for reconciliation after the Mozambican Civil War. The exhibition of art objects such as the Chair of the African King and the Tree of Life was shown around the world, among others in the British Museum in 2006. Maputo is home to the Dockanema Documentary Film Festival, and international festival showcasing documentary films from around the world. During its five centuries of Portuguese colonialization, the city has gained several examples of Portuguese architecture. Most of the note-worthy buildings are former colonial administrative buildings or current government buildings. The city does not yet have a very expansive list of parks and other recreational areas. However, at the center of the city lies the Jardim Tunduru (Tunduru Gardens) which was formerly called the Jardim de Vasco Da Gama. It was designed in the 1880s by a British architect, Thomas Honney. The entrance of the park is designed in the Neo-Manueline style. After independence, the name was changed to the current one and a statue of the country's first president was erected. In the secondary education market, there is again a strong divergence between private and public schooling. Some expatriates have chosen to enroll their children in schools in Nelspruit, South Africa and Waterford Kamhlaba in Mbabane, Swaziland. The construction of Hospital Miguel Bombarda began in 1900. In 1976, Samora Machel renamed the hospital as Hospital Central de Maputo (HCM). The hospital has 1500 beds for in-patients and has an estimated staff number of 3000. It is made of a multi-block structure with 35 separate buildings spanning an area of 163,800 m2. The hospital has six departments: Medicine, Surgery, Pediatrics, Orthopedics, Gynaecology and Obstetrics. It also has divisions for Ophthalmology and Otolaryngology and a morgue. The hospital provides services for an average 700 out-patients a day and over 1,000 kg (2,205 lb) of washing is done daily. In the early 1990s, a section of the hospital was divided and turned into a private clinic offering higher quality services for those who could afford it called the Clínica Especial de Maputo. The residence for the head of medicine is on the corner of Avenida Eduardo Mondlane and Avenida Salavador Allende. It is a historically valuable structure which was completed in 1908 and has since the 1990s been converted into a charming restaurant with colonial themes called Restaurante 1908. The upper floors are still used by the hospital as offices.